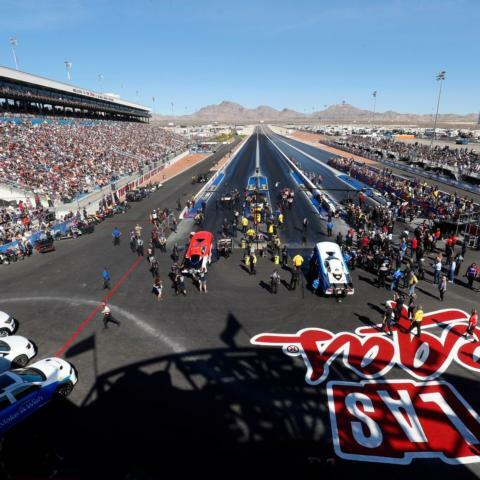 The NHRA Nevada Nationals at The Strip at Las Vegas Motor Speedway has been moved one week later for 2019, the NHRA announced on Tuesday. The four-day event, originally scheduled for Oct. 24-27, will now take place Oct. 31-Nov. 3 and will lead into the season-ending Auto Club NHRA Finals, Nov. 14-17, in Pomona, Calif. The date change also accommodates the dates of the 2019 SEMA Show in Las Vegas, which is slated for Nov. 5-8, and allows the racing community to attend both events. In addition to the Las Vegas and Pomona date changes, the NHRA also moved the AAA Texas NHRA Fall Nationals in Dallas to Oct. 17-20. 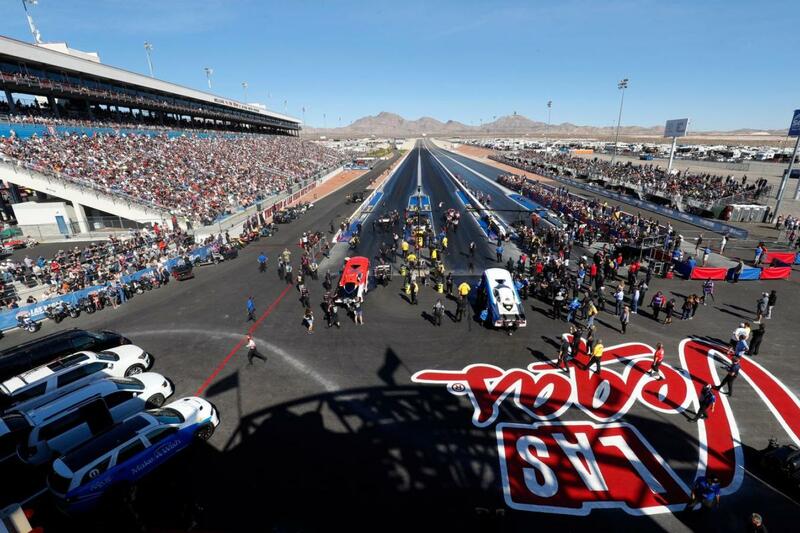 That event will precede the NHRA Nevada Nationals, and the Dallas-Las Vegas-Pomona trio will conclude the six-event 2019 NHRA Mello Yello Countdown to the Championship, NHRA's version of the playoffs. The NHRA Nevada Nationals is the penultimate NHRA event of the season and was the race where Antron Brown clinched world titles in 2015 and 2016 and where Steve Torrence claimed the Top Fuel world championship this year. Torrence (Top Fuel), J.R. Todd (Funny Car), Bo Butner (Pro Stock) and Hector Arana Jr. (Pro Stock Motorcycle) won titles at the fall event last month. The Strip also will host the DENSO Spark Plugs NHRA Four-Wide Nationals April 5-7, giving LVMS two national NHRA events for the 19th consecutive year. For tickets to any events at The Strip at LVMS, log on to LVMS.com or call 1-800-644-4444. Click HERE for an updated 2019 NHRA Mello Yello Drag Racing Series schedule.